First responders and medical professionals learn diverse life-saving skills with varying levels of complexity. The Advanced Modular Manikin is the most realistic interactive manikin available for teaching a wide variety of procedures. 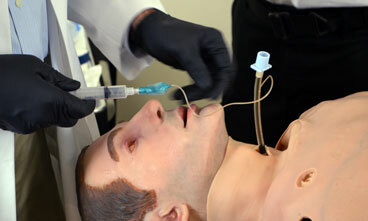 It features palpable pulses, realistic airway, breathing and abdominal sounds, and chest rise. Its lungs are capable of being ventilated, and it offers procedural capability for intubation, needle decompression, wound packing, and intraosseous and vascular fluid infusion. Interchangeable attachments, such as head and neck, upper and lower extremities, and interactive skin and injury moulage systems, help to make the case for this being the most realistic training system of its kind. 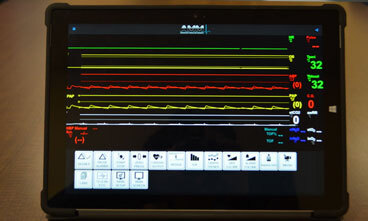 Additionally, the AMM is highly reliable — offering user-based maintenance, automated data collection with wireless monitoring and performance analysis, as well as boasting state-of-the-art educational and assessment capability.